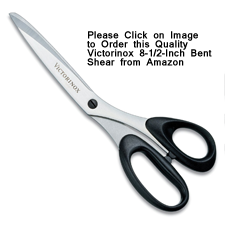 At ZB Sharpening, we Professionally Sharpen all types of Scissors and Shears. Located in Hillsborough NJ, I Sharpen Salon Stylist Scissors and Shears, Barber Shears, Pet Grooming Shears as well as a variety of Utility Scissors. Whether you're cutting hair, fabric, or cloth, you'll receive Top Quality Service and Razor Sharp Edges. For all the Professional Hair Stylists out there, I can bring your Shears Edge back to Factory Condition or better. I Pamper your Convex Scissors and give them that "Cuts like Butter" feel again. 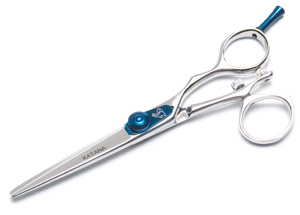 All Salon Shears are first inspected and any abnormalities are discussed with you before any Scissor Sharpening takes place, as well as any particular hair cutting techniques you use the Shear for. When Sharpening the Scissor or Shear, if nicks are present and not too deep, they will be removed. In cases where damage is extensive, we can discuss what approach you would like to take. Edges are restored to their proper angle and the edge and its Convex, rolled and polished. Ride Lines are Honed and polished, Washers are checked and replaced if needed and the Tension and Fall is reset. I hear it all the time ... "No one Sharpens Household Scissors anymore!". Well, You've come to the right place..... ZB Sharpening. Household Scissors, Kitchen Shears, Paper Scissors, Fabric Shears, Craft Scissors, Utility Shears, Thread cutting Scissors all can be Sharpened, with most result being Sharper Than New! Keep in mind several things. Many Scissors are old and the Tension Screw is Rusted Solid or Peened or Pressed Plastic, so cannot be take apart. This is not a problem as long as the Scissor or Shear can open 90 degrees. This allows me to get it clamped and run on wheels, enabling sharpening. Please do check, if the Scissor cannot be separated and it will not open 90 degrees, BEFORE you decide. Otherwise they are good to go! Just call or email with any questions.